The exhibit will pair antique pieces ( Three Kingdom period 57 BCE-935 CE ) with outstanding examples of contemporary ceramics. Korean ceramic tradition goes back some 7000 years and although Korean potters were imported and were instrumental in the Chinese and Korean ceramic production, it was not until the 1960s that they were considered and sought after by dealers and collectors. Monuments from North Korea’s medieval city of Kaesong were recently granted World Heritage status by UNESCO. Twelve monuments including tombs, fortress walls, and a 700 year old school at Kaesong were included. Kaesong, called Songdo while it was the capital of Korea under the Koryo dynasty (918-1392) is close to the border with South Korea. Koryo artists are famous for their celadon and sanggam – inlay technique where the designs are carved or stamped in the body and a slip of contrasting color is applied. I found this photo of royal tombs of the Koryo dynasty but do not know if these tombs are part of the World Heritage monuments. I recently read that South Korea does not impose any taxes on transactions imposing art property, and that works of art are exempt from transfer and inheritance taxes. I also read that six South Korean art museums came into existence through the help of chaebol (conglomerates). Chaebol are major collectors, and their families run, or are involved with the six museums. Likewise, three of the largest sponsors of the MoMA (Museum of Modern Art in New York) are Korean: Samsung, Hyundai Card and Hanji. 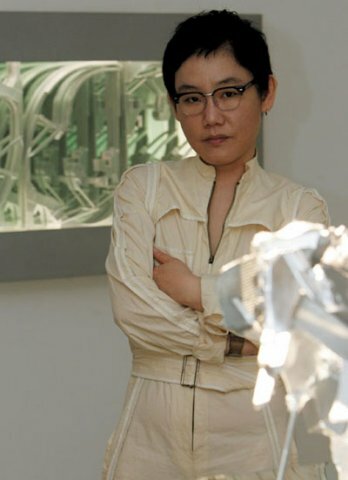 Several South Korean artists are also well known, Lee Bul, and I previously featured Lee-Ufan and his sculptural pieces. Join us for intriguing lectures related to the Museum’s special exhibitions and timely art topics. Speakers include artists and art experts from around the world. Or expand your art horizons with one-day to ten-session offerings designed to complement the latest MFA special exhibition or explore art-related themes. Sundays feature special events celebrating holidays, music, writers, and technology. The Looking Together program encounters the MFA’s collections in small groups led by knowledgeable, enthusiastic instructors that engage in discussion, conversation, and activity. This four-session course explores the history, art, and culture of two remarkable nation-states: South Korea, the economic powerhouse, and the mysterious and deeply isolated North Korea. Not many museums have a special gallery dedicated to Korean Art. 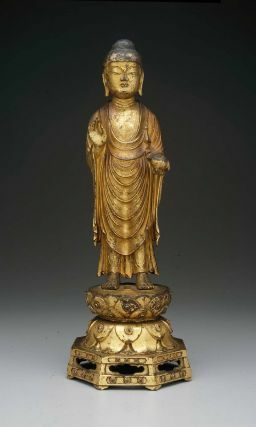 The Pacific Asia Museum will introduce its new gallery with an inaugural exhibit of The Arts Of Korea with paintings and objects from Buddhism, Confucianism and Shamanism. The museum is very active and has a wide selection of art and ethnographic pieces from Asia and the Pacific Islands.